Price spent 20 years with British Caledonian Airways and British Airways, including responsibility for government affairs, route planning for North American routes, and as general manager for the British Caledonian Aircraft Trading Group. He subsequently moved into consultancy with former BCAL colleagues. He retired as director of aviation strategy with Mott MacDonald in 2012. 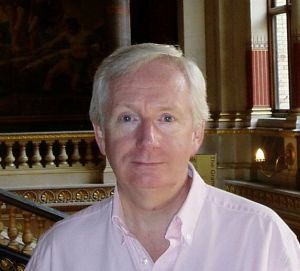 He is often called on to provide commentary on aviation economic and policy issues for the media and is a regular lecturer on air transport to major UK universities and a conference presenter. He is also involved with a team getting a light aircraft and associated ground trailer based simulator in BCAL livery to tour aviation events to promote the BCAL legacy while generating funds for the Golden Lion children’s charity. Laurie holds a Master of Science degree in Transportation Planning from the University of Westminster, is a Fellow of the Royal Aeronautical Society, sits on its policy advisory group, is a Fellow of the Chartered Institute of Logistics and Transport, and is a member of the council of the Air League. He holds UK and US private pilot licences. The fundamentals of business remain that boards have a fiduciary duty to maximise value for shareholders. That is as true for Norwegian or IAG as any other company. Succeeding in that aim is not always as easy as it might suggest for reasons outside a company's control such as government policy, competition laws, competitive threats, congestion, markets, financial issues or other economic and related matters. The real “Troll” in the room looking over Norwegian and IAG and the UK economy's shoulder is Brexit. What will be its impact on UK and EU air transport? Assuming, that is, that it still goes ahead? That could be either in a total “off a cliff edge” way with unsubstantiated trade deals, uninterrupted Northern Ireland/Eire border controls and implausible agreements on immigration, or more likely, and ironically, along the Norwegian or Swiss “in/out quasi-EU model”. Or we could stay in on some yet to be identified terms. If the sovereign UK parliament is given the opportunity to review the final deal or the people are given the opportunity for a second referendum to endorse or overturn the original narrow 51.9-to-48.1 one; then matters could change. Norwegian has been pragmatic by registering as a British airline, followed by Ryanair and now Wizz. The concern for Norwegian is that it might be another case, as has been the history of air transport, of a lot of expansion, route development and aircraft acquisition rather too quickly, leaving the company exposed, particularly to changes in the $-£ exchange rate, market conditions and changes to immigration and visa rules. The potential addition of a €7 visa charge for UK citizens on Brexit would not help a large part of Norwegian's ex-UK market, already faced with a significant reduction in buying power due to the devaluation of the pound against the euro. Norwegian does have the distinct advantage of a new Boeing fleet with the latest B787 and B737 next gen models. It is a fleet which is highly efficient while also delivering significant economy of scale and a modern, low-cost operating platform, but at high ownership cost. And it does also increase exposure to currency fluctuation with Brexit, increasing competition from BA, Air France and others into low-cost long-haul redeploying high-density, older and fully written-down B777s and similar against Norwegian long-haul, sometimes low-frequency operations. All this while Ryanair and easyJet et al continue to attack the core short-haul operations and despite Norwegian's well-regarded excellent reputation for its products and standard of service. Add in the uncertainty in the world economy and it makes it much more difficult to deliver shareholder value when major markets are increasingly constrained by factors outside its control, particularly runway capacity at Gatwick. A problem for Norwegian but a possible opportunity for IAG. So it’s a combination of some pending possible over-expansion driven issues by Norwegian up against increased competition and opportunism by BA seeing limited takeover opportunities in Europe, IAG wishing to act before Brexit and needing to develop its own unique response to low-cost, particularly long-haul, yet within the IAG brand. Against that background, a combination of Gatwick and Norwegian is a good match. Better long-haul than short-haul, but with the operations potentially developed as a discrete sub-brand within IAG perhaps as per Aer Lingus or Iberia or alternatively as a consolidated IAG low-cost branded offering – IAG has a choice. Norwegian has a good portfolio of LGW slots, when none is freely available. This allows BA to build on its well-established base there without increased competition due to slot shortage yet in a proven market and achieve greater economy of scale. It would be a much better opportunity for BA/IAG investment than going back to Stansted and its abortive development of GO. But BA has to do something before LHR R3 is available. Albeit as a separate initiative, it could develop in parallel a network of short-haul Heathrow UK regional feed for lost routes operating to and from Northolt in the interim. Ironically, BA 30 years ago, under the leadership of Colin Marshal, paid £250m for BCAL and its Gatwick hub. Subsequently, under succeeding CEOs, it gradually withdrew its interest and finally suffered the ignominy of moving out of the North Terminal to its present habitat. Maybe the push and opportunity offered by Norwegian could potentially deliver all that BCAL promised. towards the end of this piece, there is another daft suggestion that Northolt can somehow provide "short-haul Heathrow UK regional feed." I very much doubt that the MoD is in favour of squeezing the required passenger terminal expansion, and as for the road connections, they are hopelessly congested already. Yes, BUT, would the consumer gain from an IAG take-over of Norwegian? The trans-Atlantic market, through alliances with anti-trust immunity and post IAG take-over of EI, is quite consolidated already, particularly for ex-UK travel. There are serious competition issues involved.